The fall season is here, which means it’s time to bring out this streusel topped pumpkin spice muffins recipe! My family loves these muffins, they’re topped with a secret ingredient that will make your mouth water! 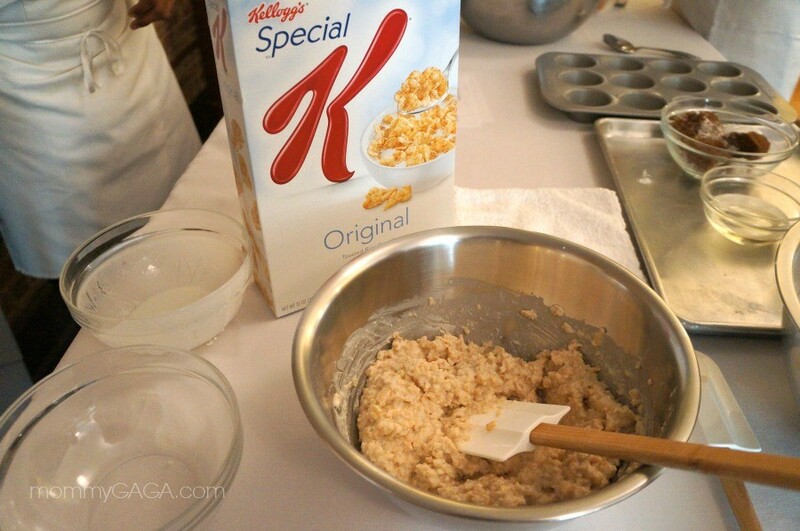 I visited New York with Kellogg’s on a hosted trip and got the chance to experience a fun event at Culinary Loft. The space features a gorgeous kitchen, one of which celebrity chef Rachel Ray used to shoot her magazine cover, and an artful approach to dining, parties and events. As we discussed a few of Kellogg’s awesome initiative, we took a hands on approach, tied on our aprons and followed along with the Culinary Loft chefs to create a few different fun recipes for lunch, all of them utilizing Kellogg’s cereals in the ingredient list! No, cereal is not just for breakfast y’all. 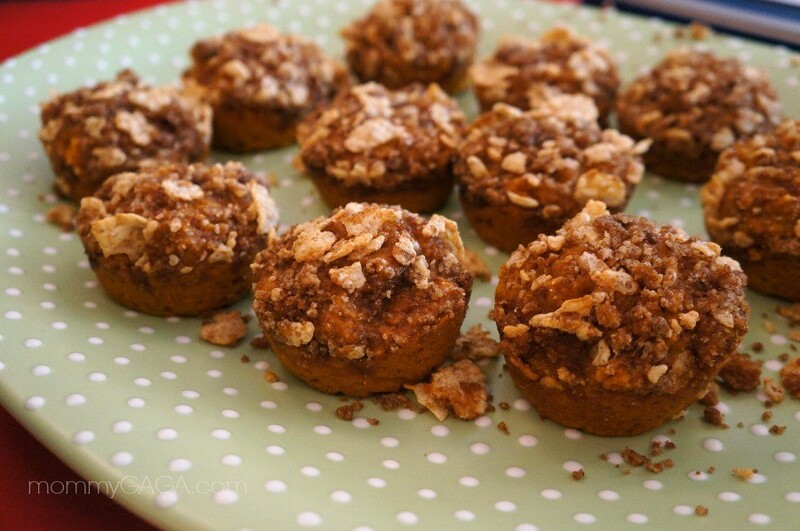 Among the foods we made, I completely fell in love with the Streusel Topped Pumpkin Spice Muffins! They were the perfect blend of pumpkin and spices with a delicious Kellogg’s Special K and brown sugar crumble top. 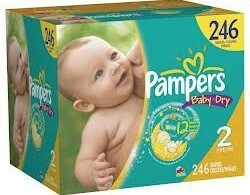 You MUST try these at home. 1. 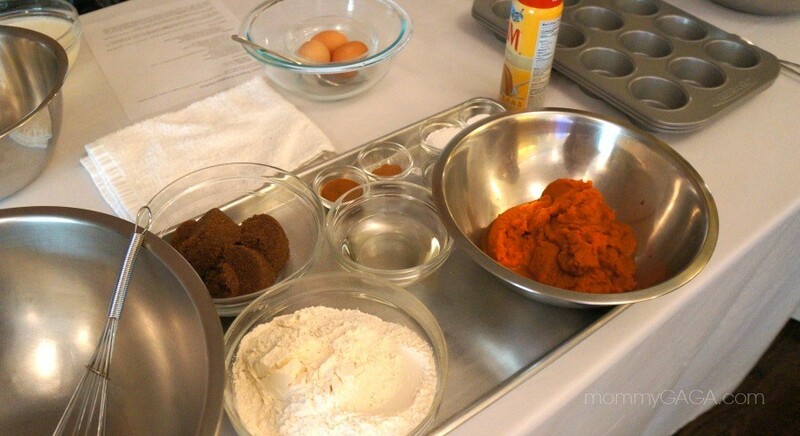 In small bowl stir together 1 cup flour, baking powder, cinnamon, soda, nutmeg and cloves. 2. In large bowl stir together 2 cups Kellogg’s® Special K® cereal and buttermilk. Let stand about 5 minutes or until cereal softens. Stir in egg, pumpkin puree, 2/3 cup brown sugar and oil. 3. Add flour mixture to pumpkin mixture. Stir just until combined. Portion evenly into twelve 2 1/2-inch muffin-pan cups coated with cooking spray. 4. In small bowl stir together 1/4 cup brown sugar and 3 tablespoons flour. Cut in butter until mixture resembles coarse crumbs. Stir in 1/2 cup cereal. Sprinkle over muffin tops. Bake at 375°F about 20 minutes or until toothpick inserted near center comes out clean. Let stand 5 minutes. Remove from pan. Cool slightly on wire rack. Trust me, if you are a pumpkin fan, you should give these pumpkin spice muffins a shot. They are delicious, and a warm welcome to the fall season! 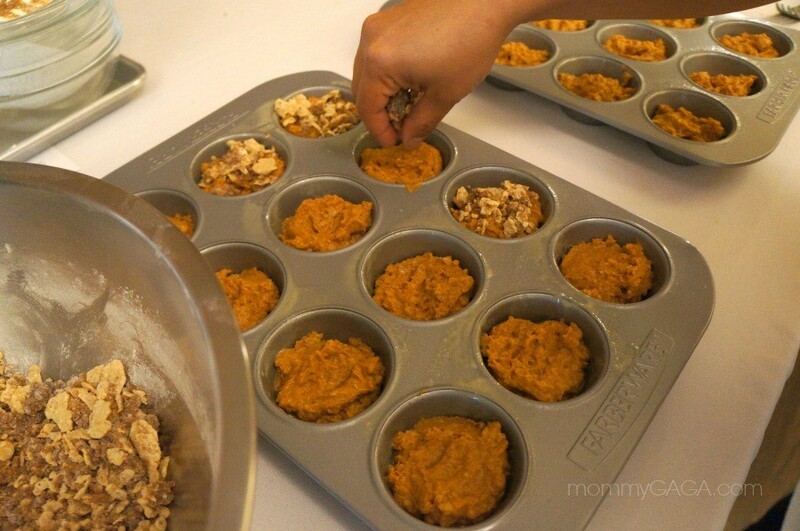 Enjoy this fall pumpkin spice muffins recipe! 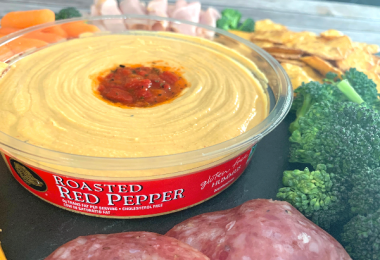 If you love this idea, here’s another recipe to try. 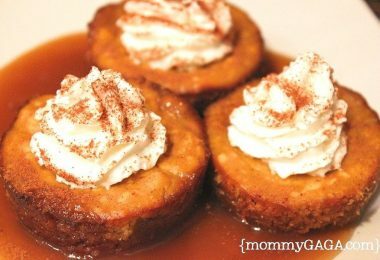 One of my favorite fall desserts has to be these pumpkin caramel cheesecake bites! They’re super easy to make and we love them so. I have partnered with Kellogg’s for the Champions of Great Starts program. Although compensated, all opinions expressed are my own. Classic Animated Comedy Mr. Peabody & Sherman Hits The Big Screen! These look amazing! I love using Special K in them! Pumpkin muffins are my favorite! This recipe looks delicious and I love that Special K is an ingredient! My neighbor had given me a recipe years ago for pumpkin bread. Although I like the indivudual muffin idea, I would also take this recipe to put the struesel atop in a nutbread recipe or her pumpkin bread one. A bit faster to get done than muffins when short on time! Thanks! I wouldn’t have thought of using the cereal for a topping, but i bet it would be good mixed with the sugar and butter as a topping for any kind of fruit such as a blueberry buckle or apple brown betty. I often have a little leftover pumpkin from other baking. This would be an excellent way to use it. Thanks for the recipe. These look so delicious! I’m going to make them for my family. 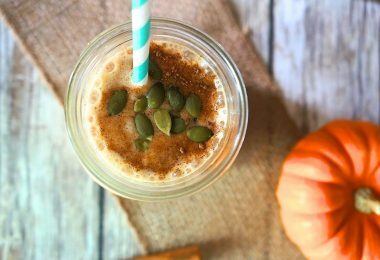 I love all pumpkin flavored treats in the fall. Thanks for sharing.